In recent years, one of the surprising trends has been the rise of mindfulness in the workplace. 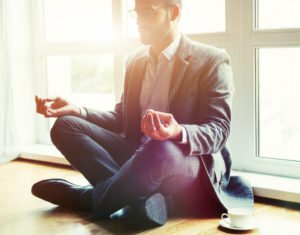 Many business leaders are turning away from the traditional stereotypical mindset of “hard-charging, aggressive, workaholic business person” and are seeking a softer, calmer, gentler, and more generous and peaceful approach of mindfulness. We only have 24 hours in the day, and unless you’re a cyborg who doesn’t require sleep, we’re only awake for 18 hours (or less). Instead of working more hours, look for ways to maximize your time by maintaining a calm, clear mind. Mindfulness can help you relieve your anxiety, improve your mental clarity, and boost your productivity—not by spending more hours at your desk, but by getting more out of the time that you spend, and by getting better at delegating or offloading your workload in more productive ways.